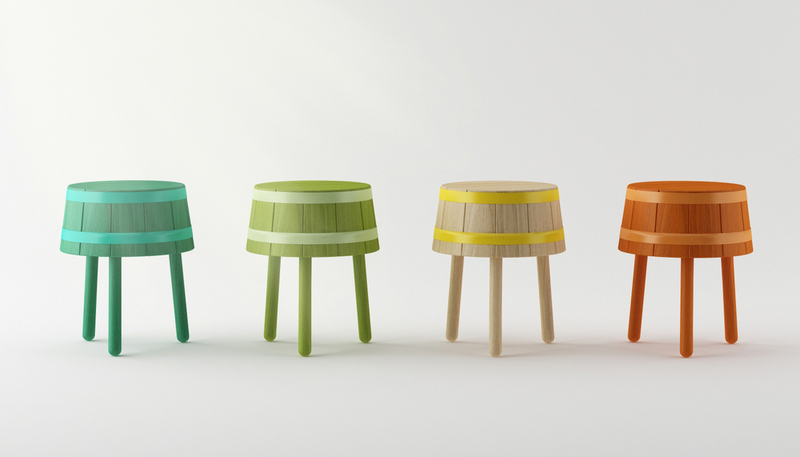 The Kupela stool is pure simplicity. The wine barrels used before bottling inspire this piece. They are made of wood panels ringed by metal straps, making them durable and resistant. But Kupela goes one step further with the metal straps and wood painted and stained in different colors, giving it a groundbreaking spirit.